Great Two-story home convenient to lakes and Country Club! 3 Bed, 2.5 Bath home sits on approx.1/2 acre across from Spring Valley Lake. 2-story entry opens to Living room. Kitchen has plenty of cabinets & beautiful granite. Easily seat 8 in Dining Room + 4 at bar. Nice Master Suite on main floor. Upstairs: Full bath, 2 generous bedrooms, & unfinished BONUS (future 4th bedrm) - insulated, paneled, and used for storage. 9' ceilings main floor/ 8' ceilings upstairs. Fenced yard plus invisible dog fence! Large deck for entertaining. Room to build 2-car Garage...per 2018 survey. 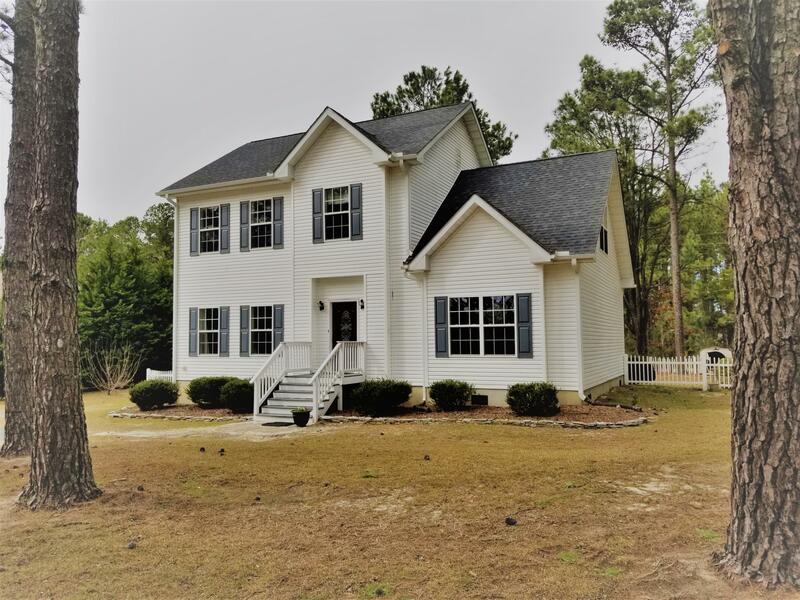 Many upgrades: see Realtor remarks.Whispering Pines residents enjoy free swimming & boating access to 8 lakes and have options for subscribing to golf and pool memberships. Seller IS a licensed NC REALTOR.